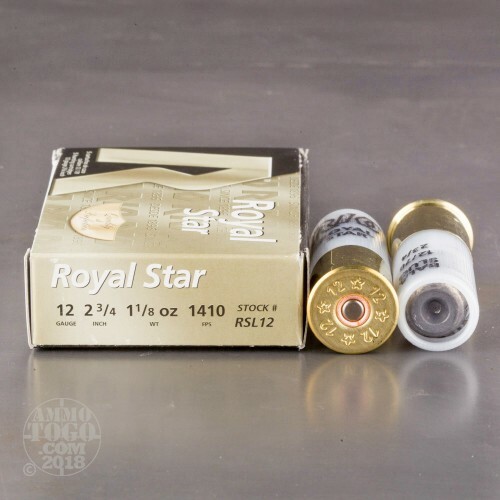 This is 12 Gauge Rio Royal Star 2 3/4" 1 1/8oz. Rifled Slug Ammo. Rio has given special to their big games shells in order to offer hunters only the highest precision and reliability. 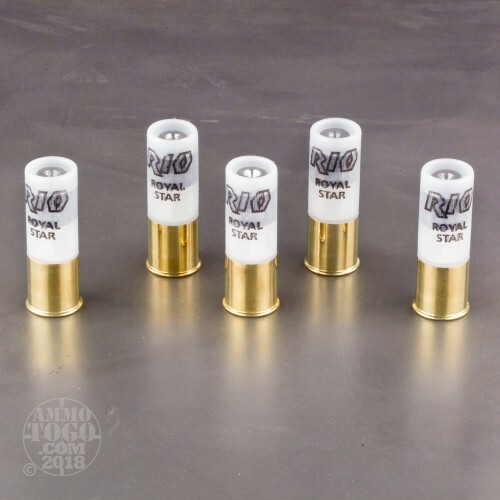 Rio slugs have CSB smokeless powder, and they carry high velocity and energy at the muzzle, and magnificent stopping power downrange. Muzzle velocity 1410fps. This ammo comes packed in 5rds. per box. THIS AVAIL TO PUBLIC RIO MED/LOW QUALITY "STUFF" NOT VERY ACCURATE BECAUSE THE PROJECTILES/SLUGS ARE OUT OF ROUND/SYMMETRIC/SQUARE, ESPECIALLY BALL OR BUCK!! 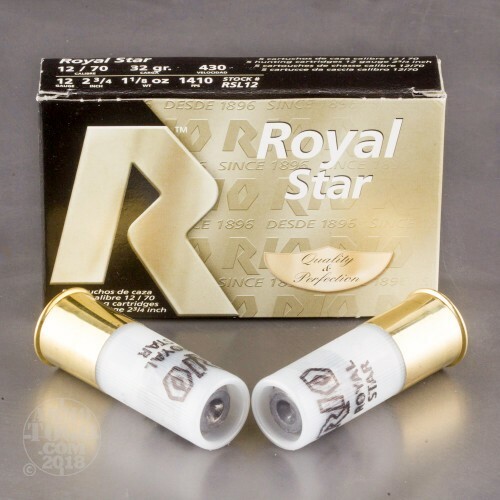 MAYBE BEST THRU CHOKE BARREL, COSMETICALLY BAD, PROBABLY FACTORY 2NDS BUT HARD TO FIND AND "CHEAP"..I'M BUYING SOME.